This book aims to introduce to a larger audience issues that are too often limited to scholarly circles. 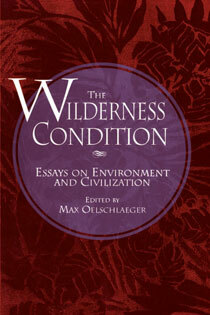 A thought-provoking collection of essays by some of the environmental movement's preeminent thinkers, The Wilderness Condition explores the dynamic tension between wild nature and civilization, offering insights into why the relationship has become adversarial and suggesting creative means for reconciliation. Contributors include Paul Shepard, Curt Meine, Max Oelschlaeger, and George Sessions.